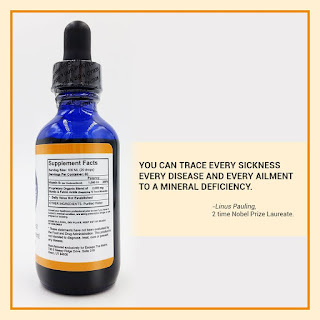 Mimi's Miracle Minerals is simply the finest mineral supplement on the planet. It can be ordered via Amazon for the current price of $29.95. I ordered mine via Amazon prime so it shipped free, fast and was well packaged. 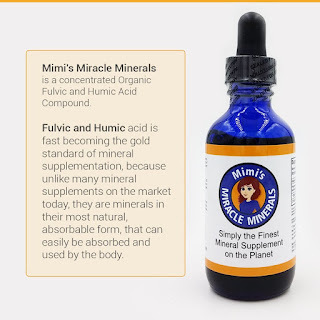 Mimi's Miracle Minerals is very easy to use because it is packaged in a glass bottle with a dropper for dosage. There are around 60 servings per bottle. Pre bottle directions: Shake well, take 100 ml(around 20 drops in water. If experiencing health challenges or you are very active take twice a day. I have only been taking these a little over a week and feel better already. It has no smell or flavor and is made in the USA. Mimi's Miracle Minerals is the finest fulvic and humic acid mineral supplement available on the market today. 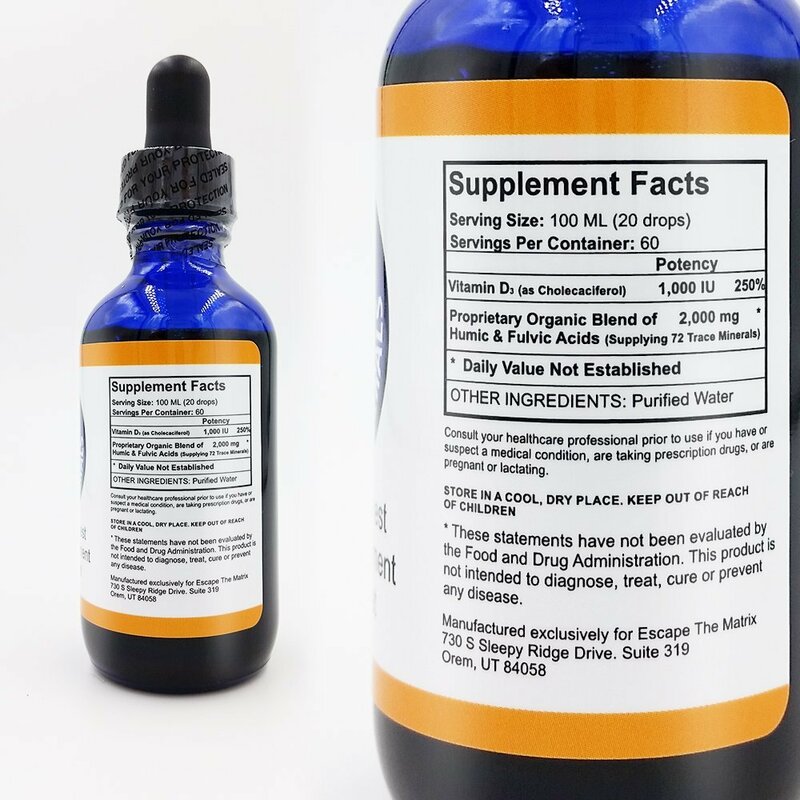 It is a fast acting liquid concentrate which helps promote the deep cellular utilization of our Fulvic and Humic trace minerals. The organic humates (humic & fulvic acids) also act as electrolytes, helping to maintain energy levels. The product is packaged in glass bottles, not plastic. This is important as plastic can leach into mineral supplements. "You can trace every sickness, every disease and every ailment to a mineral deficiency." Linus Pauling, 2 time Nobel Prize Laureate. The concentration is perfect, one two ounce bottle lasts 2 months for a person in good health, those struggling with health issues should take twice as much, so one bottle lasts a month in that case. Even people on a whole food diet are surprised when they get tested for minerals, as even cleanest eaters are deficient. 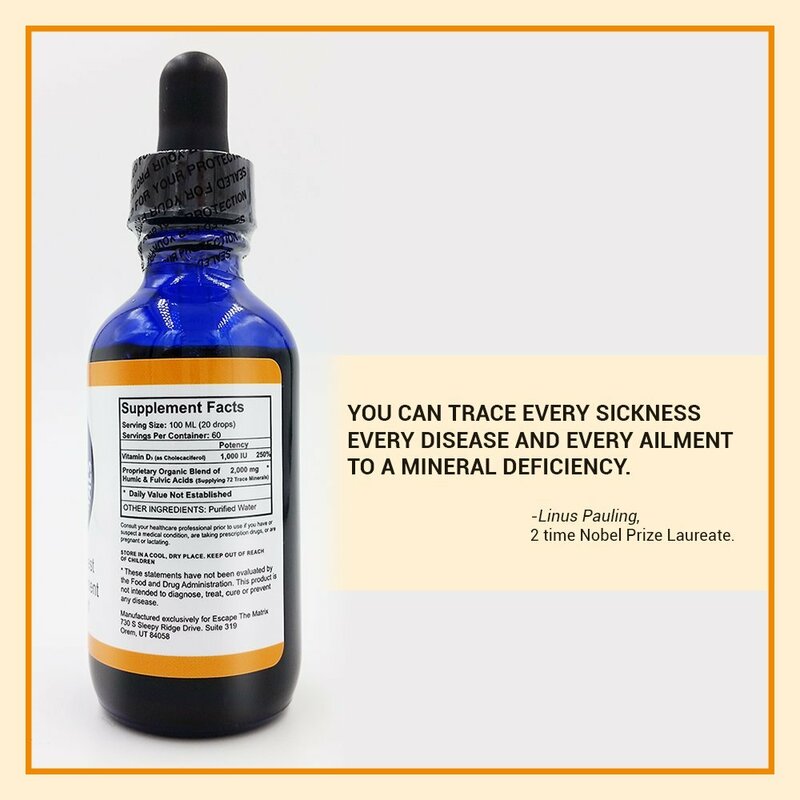 Because of the basic need of high quality minerals in the body, the benefits of our top quality mineral supplement are wide ranging. Scholarly articles quote the following benefits from fulvic acid mineral supplementation: -Improved digestion -Increased energy -Weight loss -Fulvic acid is naturally high in electrolytes and antioxidants -Fulvic acid is naturally high in electrolytes and antioxidants -Helps nutrient assimilation -May help the body fight SIBO (small intestine bacterial overgrowth) -Often lead to rapid change in gut bacteria -Fulvic and Humic acid helps water enter cells at a faster rate The liquid form means the product is easily digested, and easily taken. Just put one mil (about 1/3 of the dropper) into a glass of water or the beverage of your choice, and Voila! You have the perfect dose of multi minerals. Because of the source of these fulvic acids and humic acids, all the trace minerals your body needs are included.